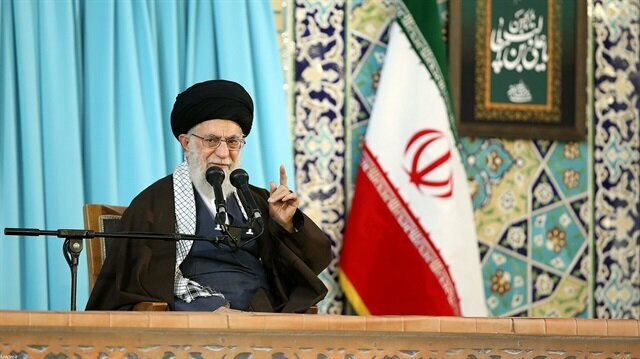 A top adviser to Iran's Supreme Leader Ayatollah Ali Khamenei hailed his country's "strategic relationship" with Russia on Wednesday during a visit to Moscow, part of a diplomatic offensive by Tehran as it braces for renewed U.S. sanctions. Ali Akbar Velayati, who is due to meet President Vladimir Putin, also took a swipe at U.S. President Donald Trump, saying his "unreliable" actions made Tehran's close ties with Moscow all the more necessary. The United States pulled out of a multinational deal in May to lift sanctions against Iran in return for curbs to its nuclear programme. Washington says it will reimpose sanctions and has told other countries to halt all imports of Iranian oil from Nov. 4 or face U.S. financial measures. "The relationship between Iran and the Russian Federation is a strategic relationship and in recent years the collective bilaterial and regional relations have expanded," Iran's ISNA news agency quoted Velayati as saying on arrival in Moscow. He said he would deliver messages to Putin from Iran's Supreme Leader and President Hassan Rouhani and that they would discuss the "very sensitive" global situation. Velayati cited Russian and Iranian cooperation in Syria, where they both support President Bashar al-Assad's forces in the seven-year Syrian civil war against what the Iranian official called "terrorism and its sponsors". "Only a strategic and long-term relationship (with Russia) can continue this cooperation," said Velayati, who was also due to meet Russian Energy Minister Alexander Novak in Moscow. Velayati described Trump as an "unreliable individual... with relation to international law who necessitates more and more cooperation (between Iran and Russia)". A U.S. State Department official said this month that Washington's goal was to get as many countries as possible down to zero Iranian oil imports. However, Secretary of State Mike Pompeo said on Tuesday the United States might consider requests from some countries to be exempted from sanctions. Israeli Prime Minister Benjamin Netanyahu, who views Iran as Israel's arch-enemy and strongly backs Trump's decision to quit the nuclear deal, was also visiting Moscow on Wednesday. Asked about Netanyahu's visit, Velayati said: "His presence or absence in Russia has no effect on our strategic mission in Moscow." Israel is concerned that Iran is establishing a military presence in neighbouring Syria and it has attacked Iranian targets there. Velayati is also expected to visit China in the near future, Iran's foreign ministry said on Tuesday.